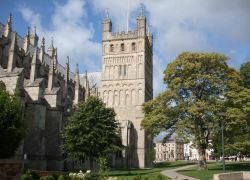 Mercure Exeter Southgate Hotel is located in central Exeter, with views over the historic old cathedral. It offers a health and fitness centre with an indoor swimming pool and a gym. Mercure Exeter Hotel also has a sauna, a solarium and a whirlpool spa. Each of the hotel's rooms features Freeview TV and facilities for making tea and coffee. There are also a number of interconnecting rooms available. The Terrace lounge bar has a secluded patio and a Mediterranean menu, while Cloisters Restaurant offers elegant dining. Traditional Devonshire afternoon tea is also served. 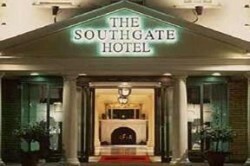 It is just a 5-minute walk from the hotel to the shops and restaurants of the city centre. 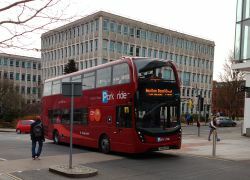 Buses are available along the High Street, and Exeter Central Rail Station is 10 minutes' walk away.